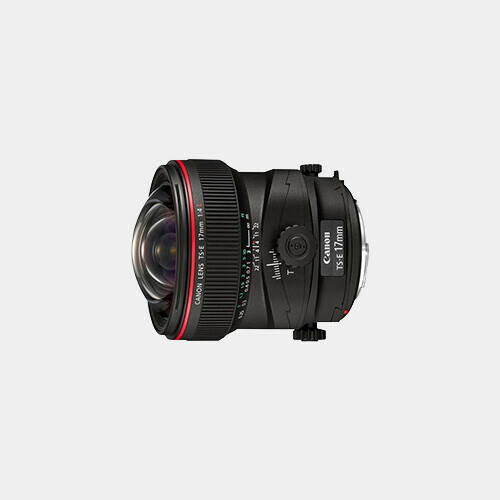 The tilt-shift function on the 17mm f/4 lens allows adjustment of the focal plane by an angle of +/-6.5º and enables parallel shift of the optical axis by +/-12mm. Both tilt and shift can be engaged singly and in combination. 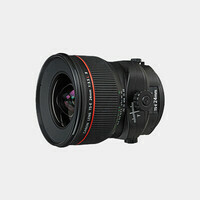 The tilt-shift rotation mechanism locks at right angle and at parallel and clicks at 45º and the lens mount itself can rotate left or right by 90º with click-stop adjustment each 30º.